It is a strange night for me here in Toronto. The Canadian Federal Election just finished and it is calm. There are no cries claiming it was rigged. There are no complaints of ambush at polling stations. There are no premature victory speeches. Everything is quiet and peaceful. This all feels quite unusual to me. As a young Pakistani, I’m still not over the disastrous 2013 General Elections that were held in Pakistan. Yet, I’m already over the Canadian elections that took place merely a few hours ago. This sensation of closure has me feeling restless. I was following the Canadian Elections with some interest. Stephen Harper, the current prime minister was in his third term, serving the office for almost a decade. Reading his policies and strategies just frightened me. He was one of the last few descendants of the dreadful Bush administration that plagued the United States. With laws banning the niqab and bringing in legislations such as the ‘Zero Tolerance for Barbaric Cultural Practices Act’, he stepped up as a conservative’s dream and the average Canadian Muslim’s nightmare. He was quickly shot down by a young man named Justin Trudeau. Mr Trudeau is the leader of the Liberal Party of Canada. 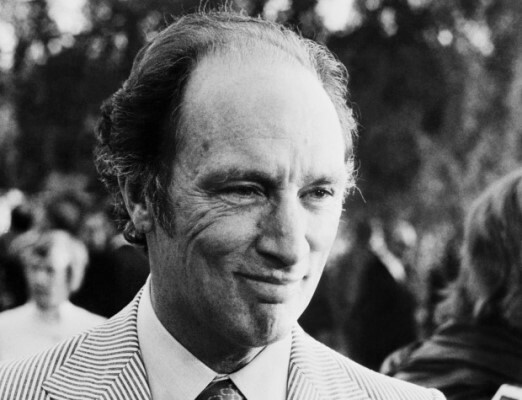 His father, Pierre Trudeau, served as the prime minister of Canada through the years 1968 and 1979. His years as prime minister were known as some of the golden years of Canadian history. So it was fair to say that Mr Justin Trudeau has some big shoes to fill. 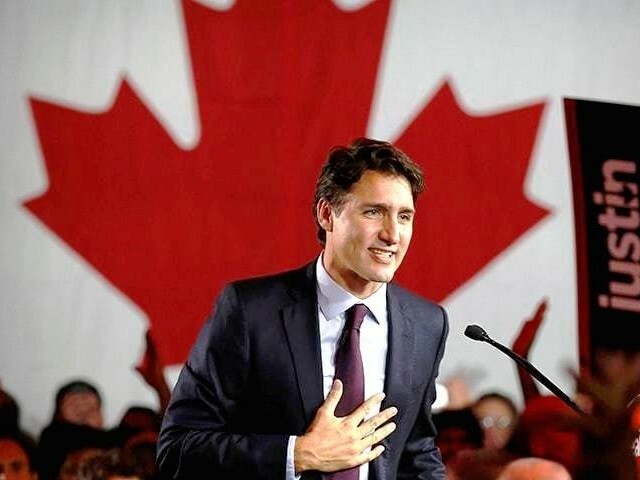 Starting off his 78-day electoral campaign, he went door to door, city to city and province to province chanting the words of change and marking the slogan for the betterment of the Canadian lives. His message spread far and wide, and people had finally accepted his ideology for change. As the electoral debates grew closer and closer, Harper seemed more uncomfortable with the rise of the Trudeau name. During the debates, Trudeau seemed confident and clear on his stance, while Harper was very nervous and cautious. As a Pakistani watching these debates, it was hard for me to fathom that these men were political rivals. Coming from a background of only Pakistani politics, I was used to the defaming and bashing of character that I saw everyday on television. Yet, the Canadian political arena was calm and collected. It was quite refreshing to see that the candidate’s values were still intact. Their promises were do-able and they showed the positive integrity that is needed from a political leader. I imagined putting Imran Khan, Nawaz Sharif and Asif Ali Zardari in a room. Boy, what havoc would that create? As the election day inched towards us, I saw banners and flyers all around Toronto. Half the sidewalks were paved red (Liberal colours) while the other half were paved blue (Conservative colours). But Trudeau did what arguably Imran Khan did in Pakistan’s 2013 general elections; he mobilised the youth. 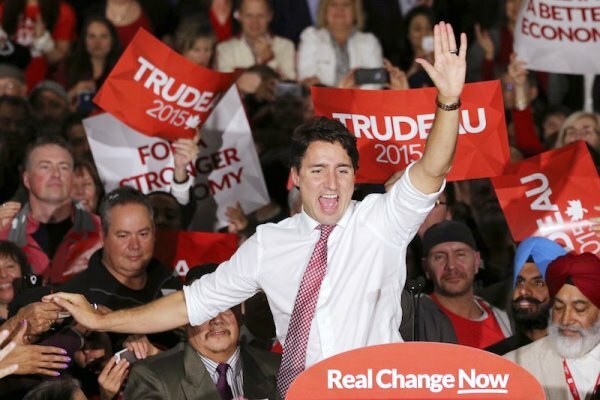 Harper won his second term in office with only 25 per cent of eligible Canadians voting, so Trudeau’s main focus was to mobilise the youth of Canada. And it worked. Everywhere I would go, I would see young men and women holding flyers and banners, talking to high school and university students, encouraging them to vote. I would go online and before any YouTube video, I’d see a five-second Liberal Party advertisement encouraging young people to vote. Trudeau did his best by coming on contemporary TV talk shows where he could gather the attention of young people and talk them into voting, even if it wasn’t for his party. He was also helped by Last Week Tonight show host, John Oliver, who did a great piece on the Canadian elections and motivated them to vote. Mobilising the younger generation is what rejuvenated Imran Khan’s political career, and finally paid off for Trudeau as well. 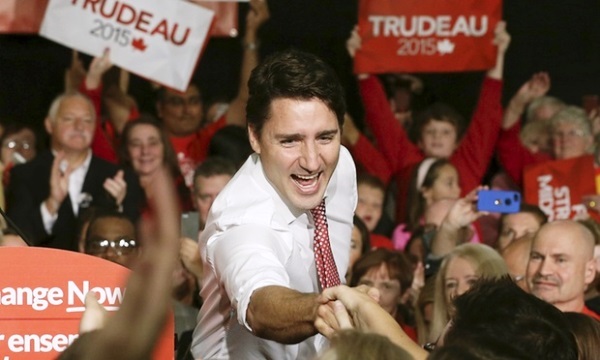 And what came in Pakistan like a thunderous downpour, came in Canada like a mild drizzle, election day. A normal Monday morning for a university student like me, I had no care because I had no horse in this race. I went to attend my classes as usual, did my routine work and came back to my room to find my roommate enthusiastic about finally being able to vote. He was happy. He felt his vote gave him a voice and he hoped he would be heard. So were thousands of other young kids like him, all across Canada. Then I saw it, the beauty of democracy. Stephen Harper was ousted by the Canadian public. In came Justin Trudeau. The decade long reign of Harper, ‘the First’ was over. Twitter was ecstatic, Facebook was overjoyed and the social network scene had come together in Canada as it breathed a gust of fresh air. Everything was tremendous. I saw the power of the people, by the people and for the people. Then I felt a sense of envy. Canadians had finally got a chance to vote for what they wanted, without hesitance and without disturbances. I looked back to our most recent elections and I still can’t pin down what went wrong. Who won? Why do we still see the same faces of tyranny and despair that we saw a couple decades ago? When will we be vigilant enough to conduct an election like this? Will it happen in my lifetime? Can it happen in my lifetime? With an optimistic sigh, I pray that it does. With many well wishes and hopes of a prosperous future for Canada, I congratulate Mr Justin Trudeau as the new prime minister. Before IK too there were clamours about rigging. Z. Bhutto went down because of electoral rigging that went sour. Since IK the level of rigging has come down substantially. The future generation would be grateful to him for his single-minded focus on eliminating dodgy elections in Pakistan. It’s my dream too to have the same electoral process to be followed in Pakistan. My leaders should behave like Haper and Trudeau. Thanks! Well I hope that this blissful record continues. I did hear that Teudeau has endorsed 25,000 Syrian Refugees while Harper endorsed none.